Fitness classes are instructor led and are held in the gym or classrooms located on the 2nd floor. Class participants must sign in on the Fitness Class Log book located at the recreation desk. Some fitness classes are free and some are $5 each. You can purchase a 6-class card for $25 at the Rec Desk or click here to purchase a 6-class card online (bring your confirmation/email receipt to the Rec Desk to receive your card). *The fitness class schedules are subject to change. Please stop by the recreation desk to pick up the current fitness class schedule. A total body workout in 30 minutes while sitting in a chair! Increase your endurance, stamina, balance, and flexibility. Any age, any level of fitness can join. This is a free class but is limited to 20 participants. Stop by the Rec Desk to register (if you have not already registered before) and log in on the log sheet. A surprising way to build strength is to slow down! Christian Yoga keeps your body, as well as your mind, healthy and active. The yoga poses help build strength and also stretch your body. Each class has quiet devotions for strengthening your spirit as well. Excellent class for all fitness levels and ages. Mondays and Thursdays at 6 p.m.
Each year, more than 2 million Americans go to the emergency room because of fall-related injuries. A simple fall can cause a serious fracture of the arm, hand, ankle, or hip. 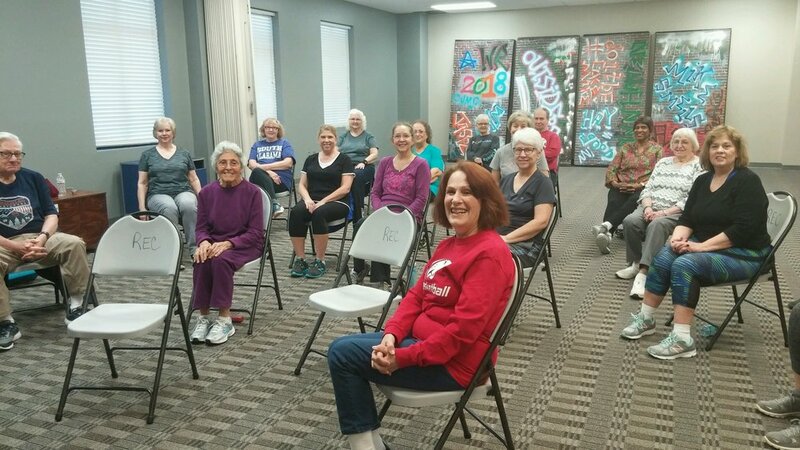 When done regularly, balance exercises are instrumental in helping to avoid falls and the disabilities that come from those accidents. You can improve, retain or regain your balance. 1st Wednesday of each month in the Hospitality room from 1:30pm-2pm.